The kit is for newbies or experienced users. The stems come with an attractive black that is versatile and durable. 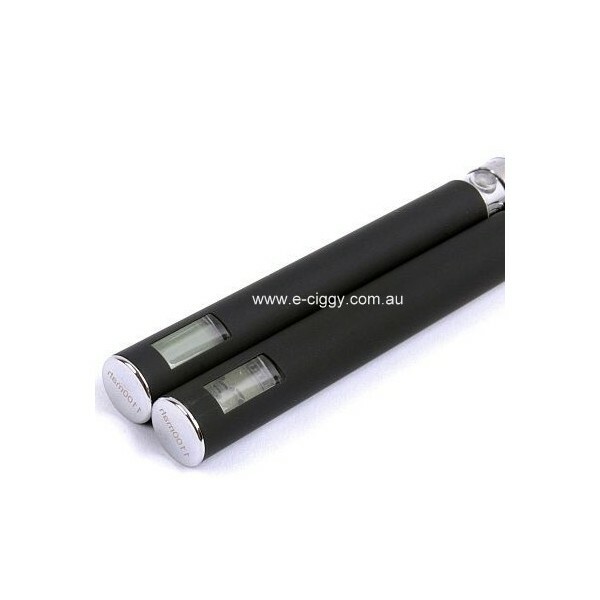 The batteries offer a long lasting life along with a LCD gauge that allows users to view the battery life. The e-liquid cartridges just snap on the end to fill. There will be no mess to fill the e-cigarette. What’s inside your eGo-T Starter Kit? They are becoming more and more popular. Many people are making the decision to use these devices rather than traditional cigarettes. If you have made the decision to do this then it is important to ensure that you use it properly. There are a few steps that you have to follow the first time that you use it. Follow these instructions to guarantee your device works. First and foremost, you must make sure that you are charging the battery. Each manufacturer will have different instructions for how to do this. Be sure to read the directions that come in the package. This could take several hours so you must be patient. You can get the rest of the parts out of the package and familiarize yourself with them while the battery is charging. Look the device over. You may find that your product has a little button on it. If you find this button then you will need to push it and hold it in place for a few seconds. This is necessary to activate the battery. 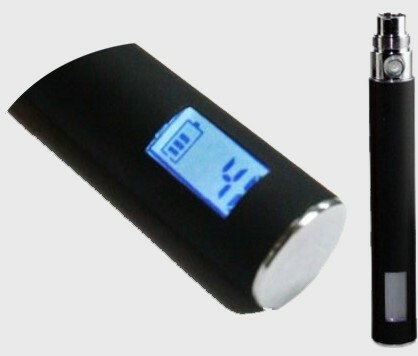 Now, if your product does not a button you will find that the battery is going to work automatically when you inhale. Finally, smoke it like you would a traditional one. You should notice that each time you inhaled from the device the LED light on the end will become red. This shows that the battery is charged and the product is working properly. As you smoke it you will see that the atomizer will heat up the e-liquid and that is what causes the smoke that is produced when you inhale from the device. As you smoke your first e-cig you may notice that it tastes a little different than a traditional one. This is normal and it is going to take you some time to get use to. You will also notice that the taste you experience will change after you have used the device for a few minutes. It is also nice to know that you can change the flavour of the e-ciggy. We offer various flavours that you can pick from. This is always something to keep in mind as you use the product. Comment : This is my third e-cigarette kit from this company and I have to admit that this one is the best ecig. I am very happy, great vapour, nice taste of liquid and pretty cheap and quality kit. Title : My favourite one! 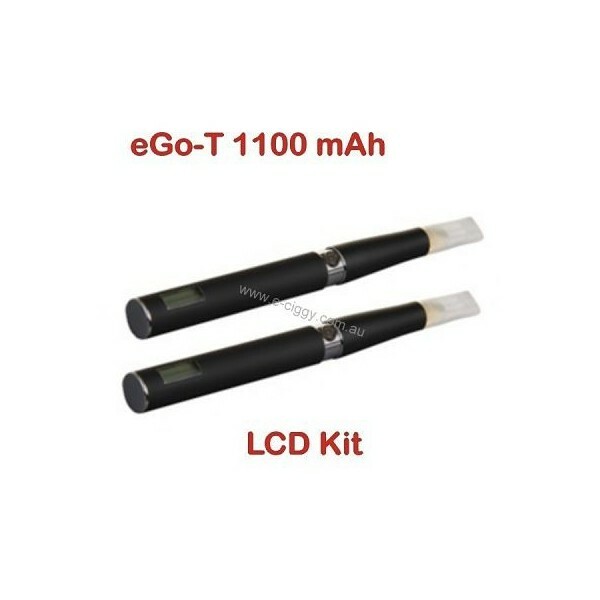 Comment : The eGo-T LCD 1100 starter kit offers a pleasurable and smooth e-cigarette enjoyment just about anywhere. Comment : No accidental use. Great preventative measures! Comment : The five-click system is pretty cool. Works well. Comment : I like to wear mine around my neck. Never know when you get the craving. Comment : Love the unit. I'd like to see it in other colors. Do you sell any others like it? Comment : Truly the best bargain on the website. Has lasted me FOREVER. Great e-cig investment. Comment : My friend tried this the other day. She really really liked it. I'm thinking about getting one too. Hoping to cut back on smokes. 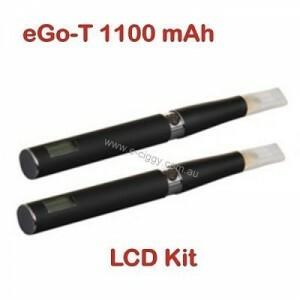 Rating(s) and review(s) : eGo-T LCD 1100 mah - Reviewed by : Martin O - Rating 5 / 5 - This is my third e-cigarette kit from this company and I have to admit that this one is the best ecig. I am very happy, great vapour, nice taste of liquid and pretty cheap and quality kit.